Behind every great day is a great night at Comfort Inn Research Triangle Park hotel in Durham, NC near Duke University. Other nearby attractions include University of North Carolina, Durham Bulls Athletic Park and the Raleigh-Durham International Airport. If traveling for work, enjoy our business center with access to copy and fax services. 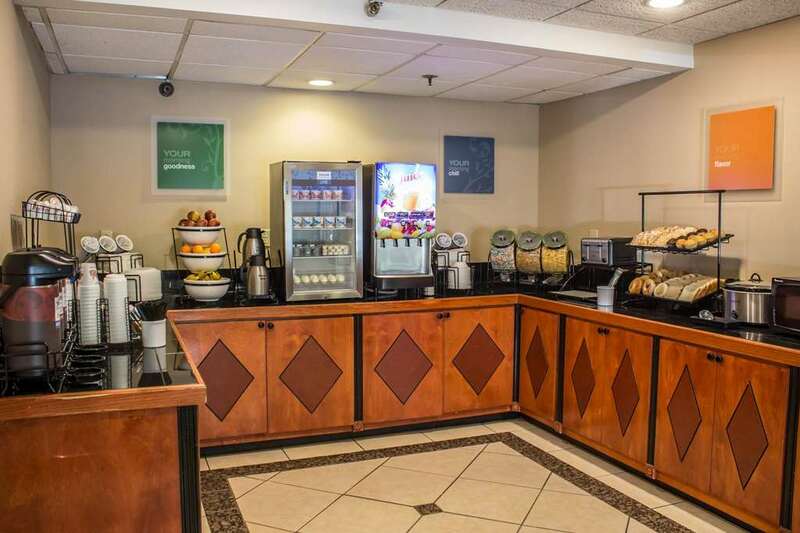 Additional hotel amenities include free breakfast, free WiFi, free coffee, free weekday newspaper, an exercise room and guest laundry facilities. Your spacious room features a TV hair dryer, coffee maker, desk, iron, ironing board, microwave and refrigerator. Also, earn rewards including free nights and gift cards with our Choice Privileges Rewards program.